Carol Kuntz was appointed to the Florida Commission on the Status of Women in 2018 by Florida Governor Rick Scott. Carol was born in Calcutta, India and spent her childhood living in India, Panama, Puerto Rico, Venezuela, Mexico, Thailand and Australia. During those years living in other countries Carol’s passion for serving those communities where she lived and in particular helping those less fortunate was developed. 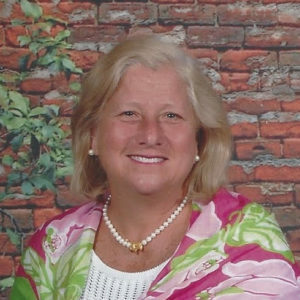 After graduating from Rollins College in Winter Park, Florida Carol has spent her adult life living in Central Florida, West Florida and South Florida and returned to live in Winter Park in 2005. Since relocating back to Winter Park Carol has been very active in both local and state-wide activities. She is a past trustee of the Florida House, our countries only “State Embassy” in Washington D.C. She is also currently supporting Camp Boggy Creek, the Nemours Foundation and is actively involved in a Central Florida giving group comprised of women from the community supporting those with the greatest needs in our community. Carol is married to her husband Tom for 39 years has three children and seven grandchildren.